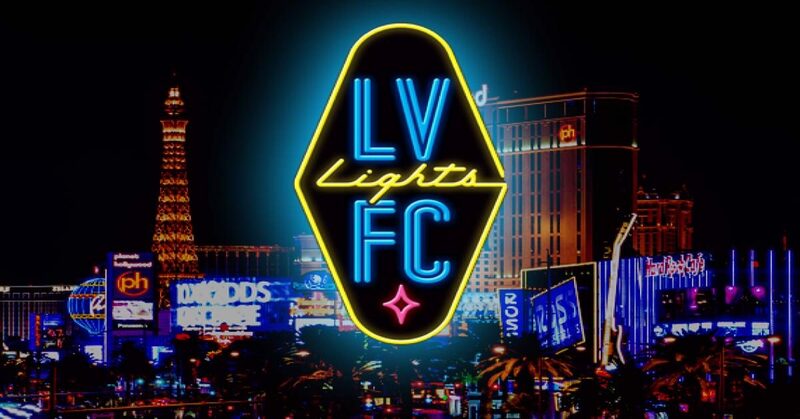 What: We talked to executives at Las Vegas Lights FC about their new USL team. Why it matters: The Club is taking a unique approach to engage with its Latin and Hispanic local market. Las Vegas Lights FC (@lvlightsfc) is joining USL (@USL), the United States’ 2nd division, as an expansion team in one of the country’s most attractive markets, and the club is keenly focused on utilizing its city’s vibrant, Latin-infused identity to win on the field. More importantly to them, though, they seek to tap into all that makes Las Vegas (@CityOfLasvegas) unique, including its strongly Mexican demographics, to create a fantastic experience around the game that the club hopes will quickly make Lights FC the heart and soul of downtown Las Vegas. This goal is apparent in almost every move the club has made so far, including, most recently, their reveal of black game jerseys streaked with the neon colors for which the city is known. Below is an exclusive interview with some of the club's executives about their daring strategies to capture market share in the team's first year. Half our staff is Hispanic, our Head Coach is a top Hispanic coach, and more than 2/3 of our players are Hispanic. It’s an overwhelming fact that the Hispanic market has been underused. Portada: What were the initial seeds for the idea to have a USL club in Las Vegas? Why Las Vegas? Steve Pastorino (Vice President, Corporate Partnerships, @StevePastorino): "Why Las Vegas? We see somewhere in the order of 2.3 million full-time year-round residents in Las Vegas. The city has gone from, call it, 15% Hispanic twenty years ago to somewhere in the 35% range in terms of Hispanic population, and there is a growing technology millennial set here in Las Vegas that is triggered by companies like Zappos (@Zappos). Then there’s the incredible rich youth soccer community: we can play twelve months a year in Las Vegas, one of the foremost destinations in the West for big-time club youth soccer tournaments. Lastly, there’s a ten thousand seat downtown stadium that is sitting empty three hundred days a year… After one year of a shared venue with a minor league baseball team, we will be the primary tenant." Portada: It seems like a unique challenge to try to become an attraction in a major tourist city How do you go about promoting your team as both a tourist attraction and a local team that lives and breathes the spirit of your city? S.P. : "We’re not trying to compete against Celine Dion, Cirque Du Soleil and Caesar’s Palace, and all the things the Strip offers. We are devoting 100% percent of our energy to being a team for Las Vegas, for year-round residents: that’s what we go to bed thinking about. Now, we’re not naïve: soccer’s a global game… this is a huge international tourist base. We think they’re going to find us, but for now, we cannot compete with the dollars that the major casinos and major shows throw at tourism. We’re focused on the Southern Nevada soccer community. We’re actually realizing that with our regional rivalries… we’ll see more visiting team fans coming than certainly the early days of MLS when the closest team was a thousand miles away. The soccer fans will find us. We are devoting 100% of our energy to being a team for Las Vegas. Carlo Castilla (Director, Corporate Partnerships): "We have the most attack-minded soccer team you’ll probably ever see in your lifetime. The challenge was to find the right coach for that, and the one that was up to the challenge was Chelís (@Elchelis), who turned out to be one of the most well-regarded coaches in all of North America. [He’s] somebody that many first division teams would love to have…, it’s such an important piece not only for the Hispanic community but also for the way we’re going to play that is going to reflect the outlandish, spectacular, and entertaining nature of this place. We’re trying to build a guarantee that if we don’t score goals, you’re going to walk away with a prize." Portada: That’s certainly a novel idea. Did you take inspiration from anywhere else for that promotion? R.G. : "We’ll really position ourselves as something unique on the playing field in addition to everything else we’re doing with the brand." S.P. : "One concept is there’s a car in the main foyer when you walk into the stadium, so you basically sign up on the spot. You give us your name and email address; if we don’t score tonight, we’ll pick a name out of the hat… and someone is taking back home this car. We’ve got a collection opportunity for us, and it’s a talking point, but we haven’t found a car dealer to take us up on it yet! We want to take a potentially negative experience, 'we didn’t score,' and turn it into a 'you can’t believe this prize' for one fan or all fans. We’re still looking for a company that has an outlandish idea for what the prize will be. The San Francisco Giants have a game that’s sponsored by Virgin Airways, and every single fan in attendance that day gets a companion voucher on Virgin anywhere they fly. It’s the first game that sells out every year. We’ve spoken to a couple of airlines about a companion fare to Mexico if we don’t score sponsored by a Mexican airline, but we haven’t sold it yet." Portada: It seems like you’ve tapped into a potential positive of promotion-relegation that other teams haven’t yet figured out: that it allows you the leeway to put on the type of entertaining product that teams that are worried about dropping off are too scared to do. S.P. : "Brett saw that there’s an utter scarcity of Spanish-speaking coaches in MLS and USL. When the players on the field are so heavily Hispanic, our countries demographics are going so heavily Hispanic, and we all have our vision of what we’d like in the game but Latin soccer is beautiful soccer… We wanted to present soccer with flair and also maybe capitalize on the fact that a Mexican or Mexican-American Head Coach might be able to bring us players. I don’t know that Brett honestly has ever talked about promotion-relegation, it’s such a crazy hot topic, and it’s not the business model of soccer in this country. There is, [though,] a certainty that your team is going to be in the same level, win or lose… That’s a much more reliable proposition. Portada: You now have Chelís, who has had prior success, who matches up well with the demographic of your fan base, and is a proponent of the style you want to play. What’s it like trying to build the persona of a rock star head coach? S.P. : "Chelís was getting stopped at McCarren Airport when he first landed here by Mexican soccer fans who recognized him, and Mexican-American soccer fans, both. Most USL coaches could walk into our office right now and I wouldn’t recognize them… I don’t think there are that many opportunities to have star power in USL. We’ve hung our hat on the name, on the logo, and on Chelís. It's been very much about letting the fans have a strong voice. We appealed to the community to name the team. We then asked the fans to help design and inspire the logo… They wanted the bright lights and the neon history of this town incorporated, so it’s been very much about letting the fans have a strong voice." Portada: How do you think you can continue to give fans of Las Vegas Lights FC the type of access that is unique as compared to anywhere else? Our local pledge that we unveiled as part of this is that we’ll always at least one homegrown, local player on the roster, and anytime, any year as long as we’re here. We’re trying to support local vendors and businesses as much as possible. We expect this to be part of our organization: that’s who we are." We are fully embracing sports betting. We want to create an in-stadium, in-seat, on-your-phone experience that has never been done in this country. Portada: I read that your organization is bilingual at almost every level. Do you plan on marketing that in any way? S.P. : "We’re trying to make sure that every department has Spanish speakers. There are a bunch of [bill]boards out there in Spanish. We’ve got the Spanish language section on the website; there’s still more to come. We launched our Twitter platform in both English (@lvlightsfc) and Spanish (@lvlightsfc_es). I just think it’s smart business. Our first broadcaster partner was ESPN Deportes (@ESPNDeportes) to carry all the games on the radio in Spanish. In a market like this, I think it’s good business, it’s the right thing to do. It’s where this country is and where it’s going. C.C. : "I’ll tell you that I’ve never seen anybody as committed as Steven and Brett are to the Hispanic market. Half our staff is Hispanic, our Head Coach is a top Hispanic coach, and more than 2/3 of our players are Hispanic. It’s an overwhelming fact that the Hispanic market has been underused." Portada: Why is the Zappos partnership such a good match for your brand that you’re trying to espouse within the area? How does the Zappos sponsorship take into account the Latin and Hispanic demographic? S.P. : "Tony Hsieh, the founder of Zappos… moved his whole headquarters [downtown]. Since, there’s been a massive rejuvenation of downtown Las Vegas: new casinos built, new hotels, condos, retail, a whole restaurant district. Not the Strip, but downtown where locals have been going for years. Zappos represents for us a partner that is mutually invested in downtown… They have launched a Spanish version of the customer service section website only in the last year or two, so they do want to reach new audiences through soccer. When we come to this agreement with Zappos… we agree on a financial number, incentives, proof of performance, and then we said, “Now we need a jersey… We’d rather give it to you than some guy in Portland who has designed 50 jerseys in the last year for 50 different clubs in 20 different countries.” We want to get out of the soccer design space and get into the apparel space with you guys.” It’s going to be like nothing you’ve ever seen on a soccer shirt." Our idea is that… it becomes known that Saturday night inside of Cashman is the true rainbow, cornucopia, melting pot that is the Las Vegas Valley. Portada: I know you briefly mentioned Cashman Field and its history as a minor league baseball stadium, and I know you just broke ground on changing the turf to having it be natural and soccer-specific. How do you plan on ensuring that, not just on the field, the overall stadium customer experience is high as possible? S.P. : "Zappos is sponsoring a two-hour pregame tailgate outside of the stadium... the stadium has 70 acres of land, it’s perfectly flat, there’s room to expand, there’s batting cages that will become obsolete soon: there’s a big, big footprint of potential. [It is] within a half-mile of… downtown, We think the fan experience will be great this year: it will sound like soccer, all kinds of music, different foods, the food trucks, beer gardens, etc." Portada: What is your stance on sports betting? S.P. : "We are fully embracing sports betting. We want to create an in-stadium, in-seat, on-your-phone experience that has never been done in this country. That’s one area where we really want to break the mold: it’s perfectly legal here in Vegas. Many billions of dollars are… wagered illegally on the Super Bowl. What will be bet on the Super Bowl… will be dwarfed globally by what’s bet on the World Cup, and we want to be right and center on that. [For example], here are the odds-on tomorrow morning’s Mexico-Germany game. Place your bets when you’re putting your five bucks on your hometown USL team as well. We want to be on the soccer fans bucket list in the US: “You’ve got to go see a game in Vegas: it’s crazy out there! They’ve got that coach, they’ve got the betting, the price of the airline ticket, the hotel room is a steal." We have a lot to deliver on, but Brett has outsized vision and ambition, and it’s right up my alley. There’s no stopping soccer in this country… We have this clean template to work with, and anything we ever wanted to do in sports, we get to apply it here in Vegas and try it out." Portada: Last question: what would a successful first year look like? S.P. : "My flippant answer is we win 30 of our first 40 games and sell out every single game and put our sport in this town, but the hockey team’s already done that! For all of the success that the Golden Knights are having, their average ticket price has gone past $150 dollars right now… its fan base does not reflect the diversity of the market in any way you slice it. Our idea is that… it becomes known that Saturday night inside of Cashman is the true rainbow, cornucopia, melting pot that is the Las Vegas Valley. People are singing, chanting, cheering not even realizing if it’s in English, or in Spanish." People are singing, chanting, cheering not even realizing if it's in English or in Spanish. 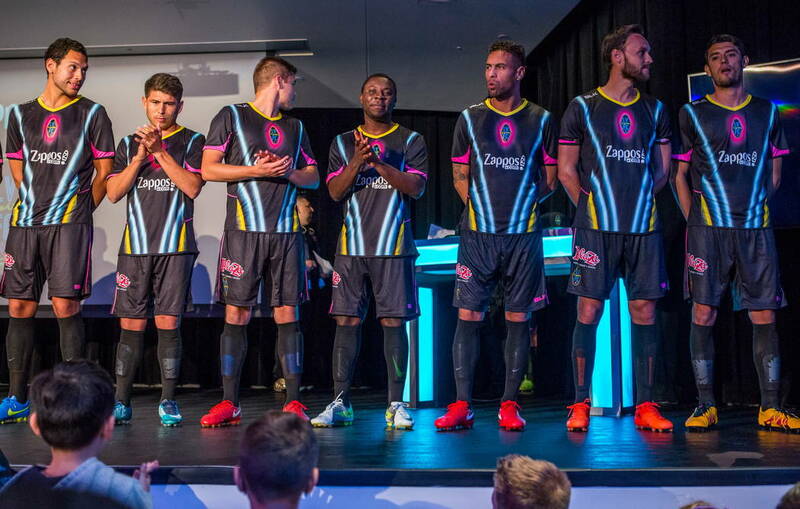 Las Vegas Lights FC is clearly trying to innovate in almost every instance they can. All sports franchises try to increase customer experience outside of a team’s on-field success, but this new club is demonstrating a noticeable amount of dedication towards exploring new ways to do so. 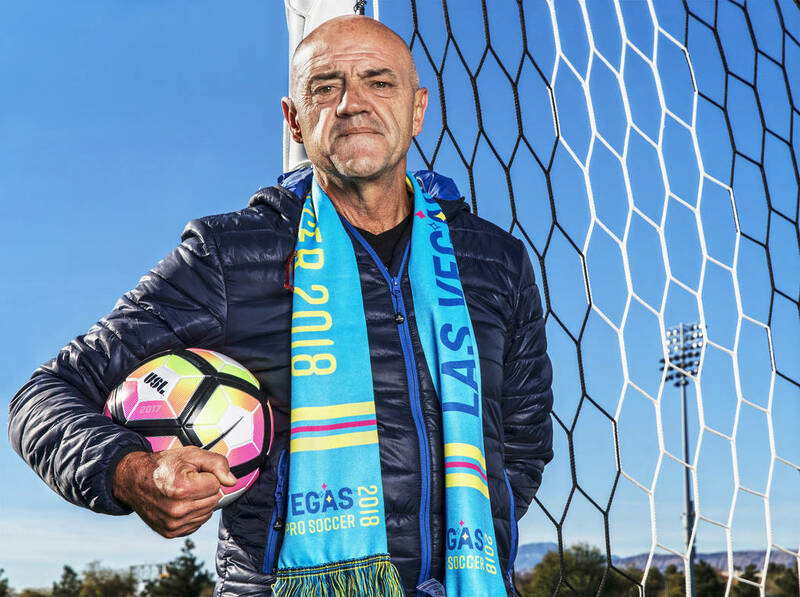 Though some of their ideas may not pan out, they exhibit enough ingenuity and understanding of the local market to inspire optimism that Las Vegas Lights FC will soon have a growing, passionate fan base. When it is all said and done, the bold, almost unheard-of initiatives the club is taking in all aspects of its business, from marketing to staffing, may end up being a national story. David is from Miami, Florida, where he grew up immersed in a vibrant Hispanic and Latin culture. His professional experiences include coaching Division I soccer and interning for Atlético Nacional S.A. in Medellin, Colombia. He graduated from Princeton University with a degree in Philosophy and is currently enrolled in the Columbia University Sports Management Master's Program.